Amangwe village is close to our hearts. This is a place where hope is restored, love is shared and support is given unconditionally. On our regular visits to Amangwe village, we are always impressed with the professionalism which the centre is managed. 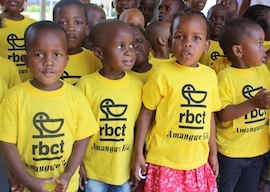 RBCT has a long standing relationship with Amangwe. On an annual basis, we support the centre with funding that enables them to continue providing much needed home-based care to people infected and affected by the HIV/AIDS pandemic. We adopted the Amangwe crèche as our flagship project which we financially assist every year. The Crèche has grown since it first opened its doors to 16 orphaned and vulnerable children in January 2004. It catered for 45 children in 2014. We have no doubt that many future leaders will be produced through the selfless efforts of the Amangwe teachers. This crèche based in eSikhawini was built by the community, but due to overcrowding and lack of resources was no longer able to cope. They needed assistance to extend their crèche by 2 classrooms. After visiting the crèche and witnessing the love that is given to these children in the midst of little or no resources, we could not help but heed to the call. They now have enough room to cater for the children and ABET lessons in the afternoon. They also hire our one of the classrooms during weekends to the community for events and weddings to generate income for the crèche. 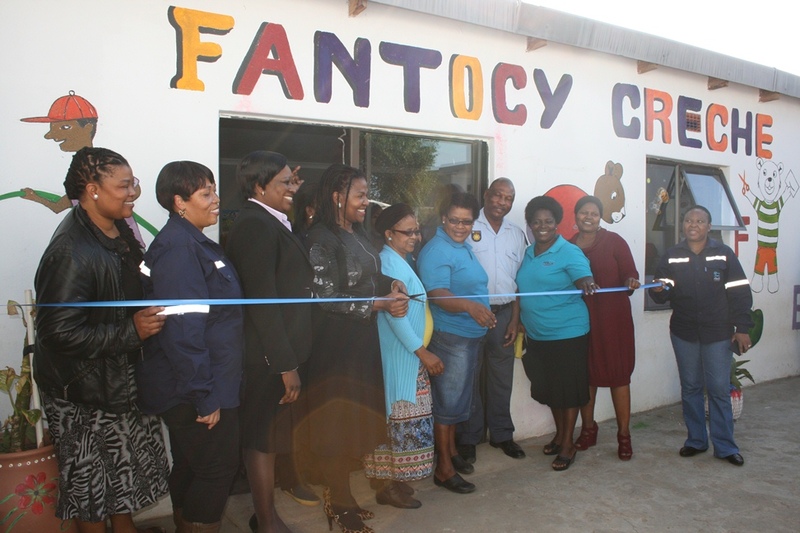 From 2 crowded classrooms to a fully fledge crèche with 4 classrooms, a kitchen and the office, this facility serves the community of Mandlanzini near Richards Bay Airport. RBCT granted funding of more than R500 000.00 to build four new classrooms and the administration block. The community came together and built two classrooms after identifying the need for the crèche in the area. It was very difficult for them to continue with building as most parents are unemployed and rely on child support grant until RBCT got involved in 2013. 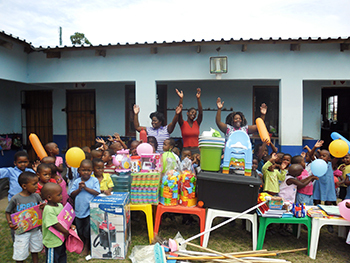 Today the crèche accommodates more than 65 children of which 50% don’t pay crèche fees.